Caning, Asian influences, shopping with a friend and good housekeeping practices because it's the LAW. Greeting! After a busy few weeks, I have just completed restoration of a homemade oak rocking chair with cane seat and back I picked up earlier this year. I took it on because I have successfully replaced sheet cane early in my restoration career and decided I was ready for another go. I am happy to report it all went smooth and the chair is now available! Here are a few pics from the process. 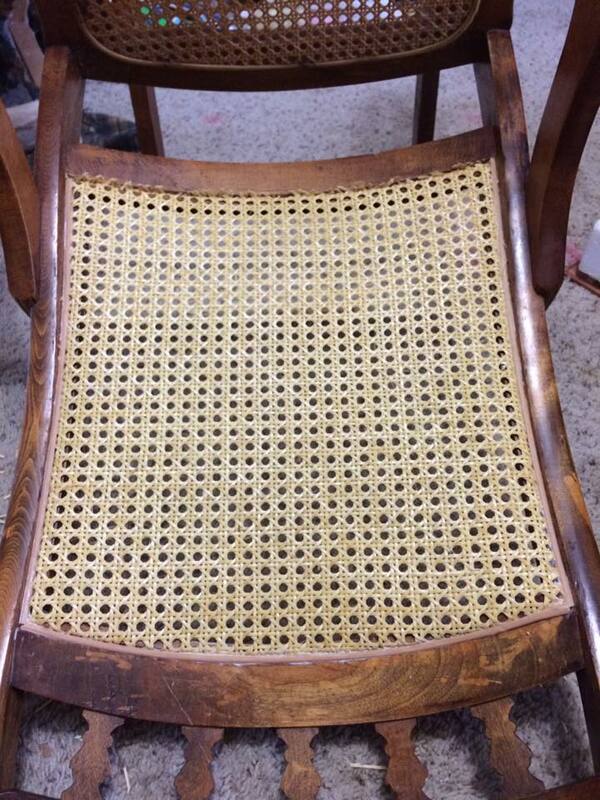 While I was at the caning shop, I picked up some material to repair a 1930's Heywood Wakefield rattan rocker. It is shown on my Diamonds in the Rough page. I am going to get started repair the one arm that is a little dogged up and then redoing the seat. 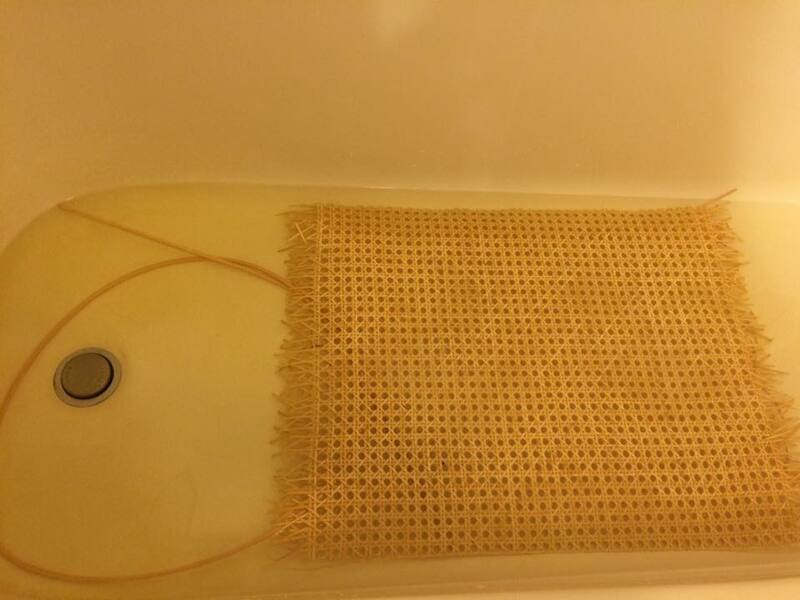 I have some golden yellow fabric I thought would be a good choice with the aged orange finish of the rattan, but I am open to using a pattern. If you want to claim this baby now I will finish it per your specifications. 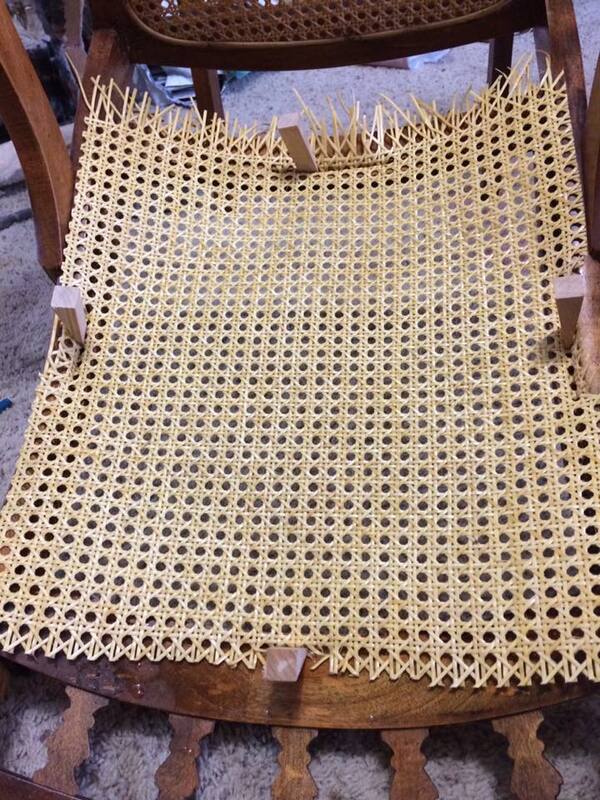 Amazingly enough, the rattan is actually a very tight twisted paper and not a reed at all! When I snapped off a piece to take it along to the shop, I was suspicious and the woman at the shop confirmed it! I will be replacing with a reed in the area that needs repaired and hoping I can do a close match of the orange paint to blend it in. These kind of details are always challenging and fun for creative types like myself. I just picked up a few new items that I am getting ready to list. I love to know the history of what I find so being able to select things from the home they lived in is a fun yet melancholy part of securing my inventory. I was able to visit a home that is getting cleaned out after it's owner recently passed on. She was a working artist who made her living selling prints and original oils. I am still trying to get more info on her business but she did copyright everything she sold so there were definitely savvy practices being followed. Her home was filled with late Bombay Company furnishings in near perfect condition. 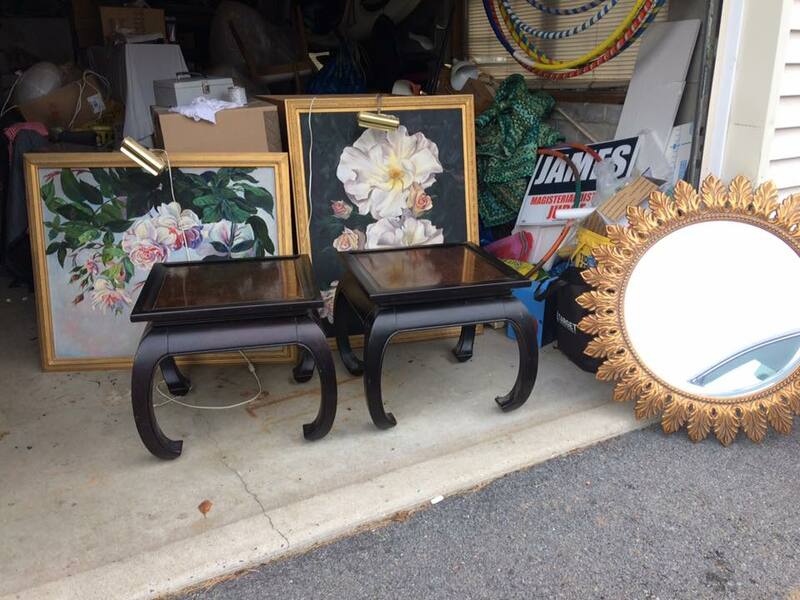 I picked up a pair of 2005 era MING style end tables in a black finish with gorgeous burl tops. I quite enjoy the Asian style and think it would be a great match in an eclectic or boho décor. This will be photographed and listed in the next 24 hours- hoping for no rain and a little sun! I also picked up 2 very large original oils on canvas in beautiful gold gilt lighted frames. They are both floral subjects. One is marked Not Copyrighted DO NOT SELL. The other has been copyrighted and her notes show pricing and editions for canvas and paper reproductions including her asking price on the original, $4,000. I am trying to get some more info regarding where her work was being sold and what galleries she had relationships with. Speaking of sanitizing, in other exciting news, I decided to apply for a license from my state to be able to tag my own used or restored upholstered goods after I clean and sanitize with one of 2 products the state authorized to be used. I chose Steri-Fab, which is an insecticide, germicide and fungicide. 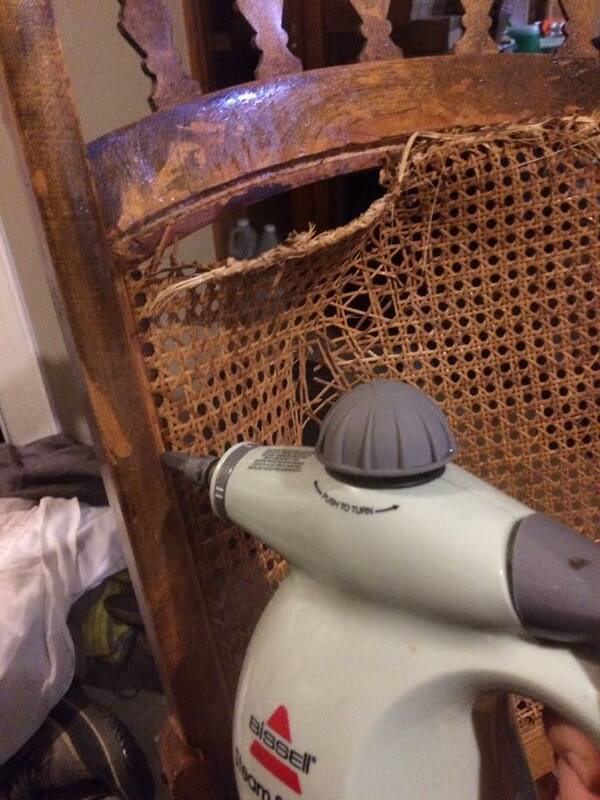 I will vacuum and steam all upholstered goods and follow with sanitizing all areas I can get to, I am certain that not all places do a thorough job with this especially thrifts, who are required to tag and any other retailer you shop with in PA. I was letting my mall handle it for me but decided it would be something I would do for every customer I ship to. I am already following procedures but am waiting for my license to be approved so I can order the yellow tags. Buyers can remove them after receiving the item but it is piece of mind for all of us! I welcome local people to use my services! I would gladly sanitize and clean something you found or are selling commercially so you can comply with the law. Message me and we can talk about it! This towel available NOW in my ebay shop or locally at Fleetwood Antique Mall! 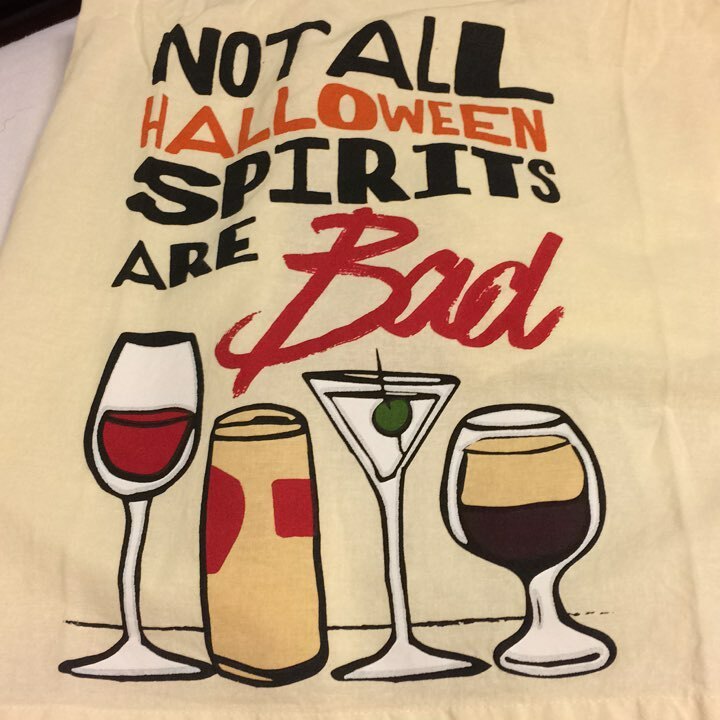 order now so you get yours in time!